Blog / Happy Valentine’s Day! Valentine’s Day is Friday, February 14th. It is a day dedicated to love and romance. According to The History Channel, 62% of adults say that they celebrate Valentine’s Day. 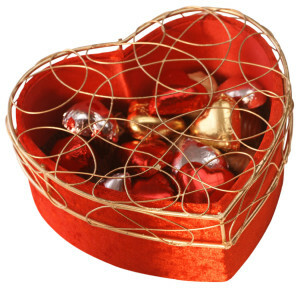 There is 58 Million pounds of chocolate purchased during the week of Valentine’s Day. People spend over $448 Million on candy purchases over the same week. 23% of adults say that they will purchase flowers for their Valentines. 150 Million Valentine’s Day cards are exchanged annually, which is the second biggest card sending holiday after Christmas! It is quite a busy day for restaurants and retail shops! The history of Valentine’s Day goes back to the 5th century when February 14th was officially declared St. Valentine’s day by Pope Gelasus. The celebration is named for a Christian martyr from the 5th century. Actually, there were 3 different saints from the time named Valentine or Valentinus, so it could have been any of the three. The legend is not quite specific. The holiday also has its basis in a pagan Roman holiday, Lupercalia, which is the Roman fertility festival dedicated to Faunus, the Roman god of agriculture. This festival was celebrated in mid-February. Small tokens of affection such as poems or small gifts were given out to one’s love since the Middle Ages. The first written Valentine appeared in the 1400’s. Valentine’s Day is celebrated in the United States, United Kingdom, Canada, Mexico, France and Australia. In England, specific Valentine’s Day celebrations can be dated back to the 17th century. The first mass-produced printed card in England was made in the early 1900’s. The United States started celebrating Valentine’s Day in the early 1700’s, as the traditions were brought from their homelands. The first mass-produced Valentine’s card was made in the 1840’s. Valentine’s Day is traditionally a day to celebrate love. There are special marriage events at local courthouses to either get married or renew vows. There are a variety of Valentine’s Day events in the Atlanta area that you can find more information about from Zevents and Eventbrite. Many local restaurants are offering specially priced set menus for Valentine’s Day weekend including Sway at the Hyatt Regency Hotel, Cook Hall. You can explore great artwork as well as have a great meal and dance the night away at High Museum of Art. If you enjoy classical music, the Atlanta Symphony Orchestra has Piano Romance, special program just for Valentine’s Day. If the Blues is more your style, you can to the Atlanta Blues Festival at the Atlanta Civic Center. There are so many fun things do with your sweetie over Valentine’s weekend! Don’t forget to pick up your card, flowers and candy too!